Myles Brown, a non-pro, entered his horse Miss Scarlet’s Cat, into the Snaffle Bit Futurity Level 1 Limited Open Championship. Together, they scored a 217 in herd work, rein work and fence work — which earned a spot in the Limited Open and CINCH Intermediate Open Finals on Thursday and the Open Finals. He is a 5th generation rancher from Stinnett, Texas. His devotion to being a horseman runs deep. His great-grandfather, R.A. Brown Sr. helped organize the American Quarter Horse Association and is a member of the AQHA Hall of Fame. Myles’ grandfather, R.A. (Rob) Brown, followed in those footsteps, was inducted into the hall of fame and served as AQHA President. At just 23 years old, Myles proves himself to be an exceptional horseman wise beyond his years. After years of hard work, Myles decided to enter the Futurity as a non-pro with his horse, Miss Scarlet’s Cat, that he owns and raised. Myles was the only limited rider to make it to the Open Finals and walked away from the Futurity as the Limited Open Champion. 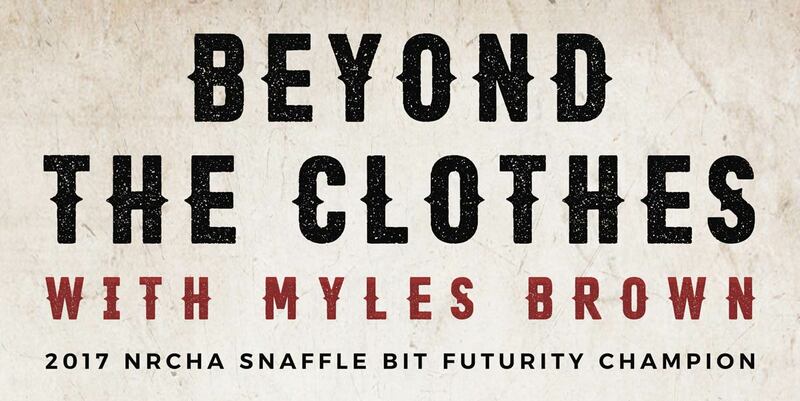 Myles will continue to do great things, and we’re looking forward to watching.